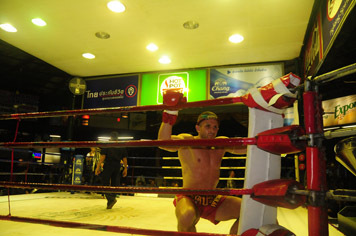 Paweł fought a fight at the famous Lumpinee Stadium! 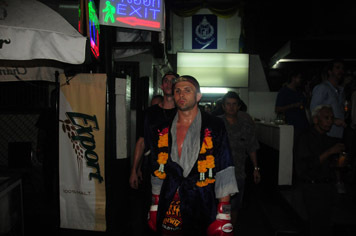 Paweł fulfilled his great dream and performed at the famous Lumpinee Stadium in the capital of Thailand, Bangkok, where the biggest Muay Thai fights take place. A Pole representing the Sasiprapa Gym on Tuesday, February 5, 2013, performed at the gala against the English rival living in Thailand and training at Kiatphet. It was his competitor who fought with the Pole and the decision of the judges – the Englishman was considered the winner after a very balanced duel in the category up to 176 pounds (80 kg). 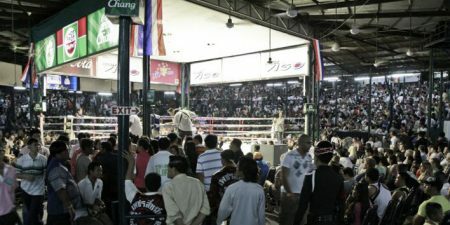 The Lumpinee Stadium has been operating continuously since December 8, 1956, promoting Thai culture and the uniqueness of Thai boxing. The level of battles fought there exceeds the majority of similar sports shows in the world. A speech there has always been a great honor. Soon, this historic site is to be demolished and moved over the city, and in return, they are to build office buildings. “I lost a bit, literally by the promoter of the gala, but I do not have any grudge against the judges, I was better boxed and swayed a few times but it does not matter here. The defeat hurts a bit, but I’m glad that I could fight in. Emotions were unbelievable, the hall was filled with people until the end, I was fighting on Rajadamnern, but here was all I saw, there were TV stations. fight for nine, which took place that evening, before me was the main event of the gala, so even if it was a fight that aroused interest. ” – Polish player told us in a telephone conversation.